During my pregnancy, I was always told that even though I was having complications, there was really nothing that could be done until I reached viability, which was 24 weeks. When I reached viability, that was a huge milestone for me. 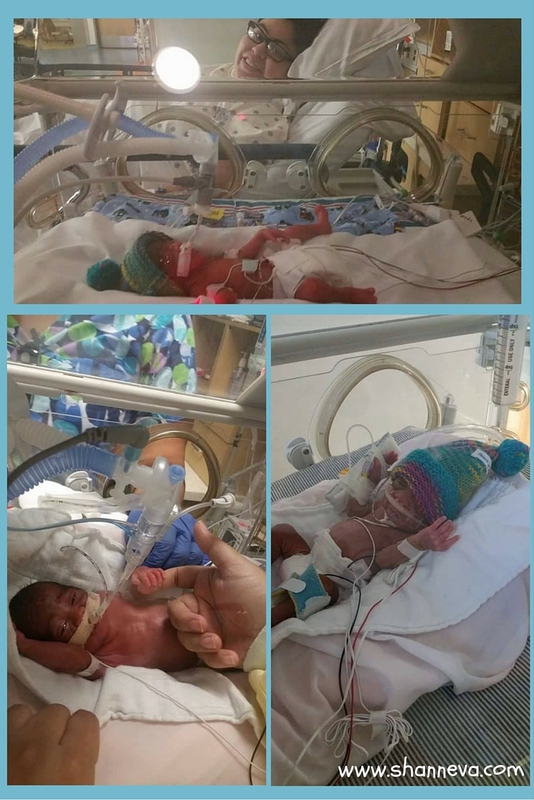 I knew the doctors would try to save my babies if they were in trouble, and even though the odds of survival were low, they still would have a fighting chance. While 24 weeks is the point of viability in most hospitals, some are able to save even younger babies, as advances in medicine are made. Today, I’m sharing Cassie’s story. She didn’t reach that point of viability, yet she still has her miracle baby. 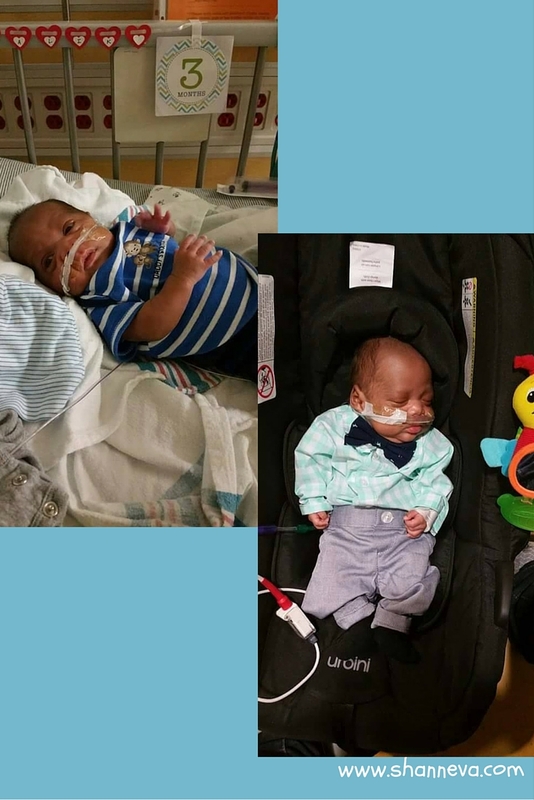 Please read about Malik, and their journey through prematurity. 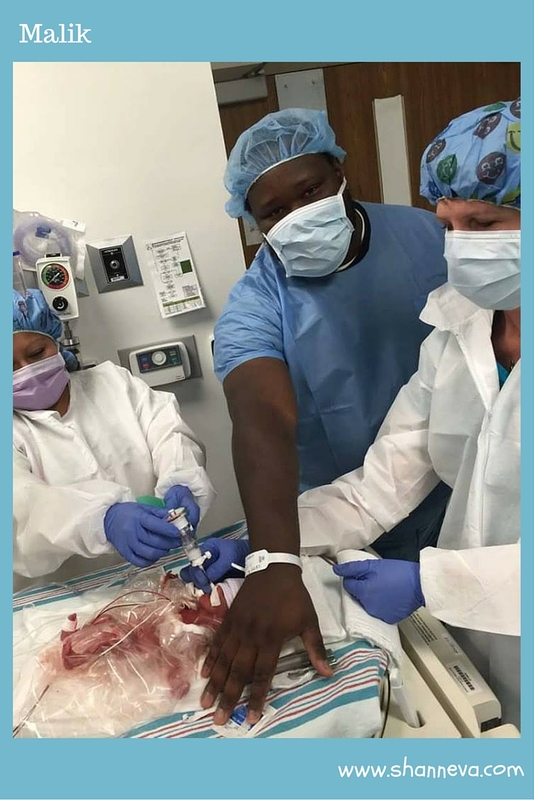 Malik was born at 23 weeks 6 days by emergency c-section weighing 1 pound 6 Oz 11 inches on 11-27-15 at 10:37 pm at the Santa Rosa children’s hospital in San Antonio. 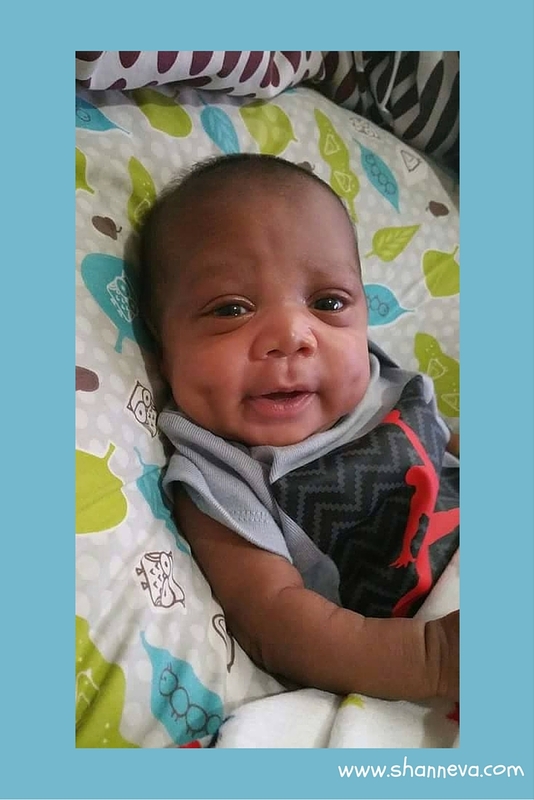 Malik spent 105 days in the NICU and came home exactly 1 week before his due date on March 11 2016. He did come home on 1/8th of a litter of oxygen. The hardest part for me was the uncertainty of things, and not being able to just hold my baby. Also, when he was about a week old, he did have a set back. He would move so much that it would stress his little body, so they had to paralyze and sedate him. Seeing him so still and lifeless was extremely hard for me. My water broke a 22 weeks 6 days, and I was able to stay pregnant for another week. I then developed Chorioamnionitis (a bacterial infection) due to me not having any amniotic fluid. 4. How is your baby doing now? Malik is doing extremely well. He is now 5 months old and weighs 8 pounds 6 oz. He is off oxygen and all medications. 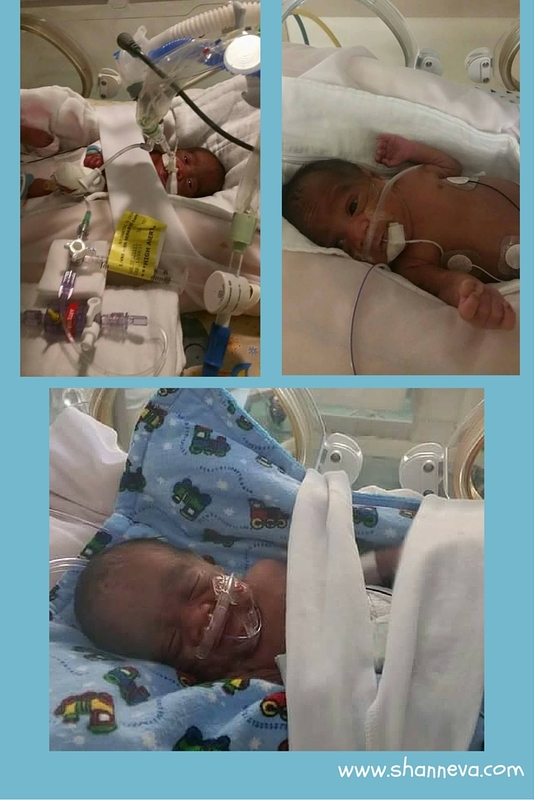 His complications included CLD (chronic lung disease,) PDA (Patent ductus arteriosus) which has now resolved, stage 1 ROP (Retinopathy of Prematurity) which is getting better, and Nephrocalcinosis (increased Calcium levels in the Kidneys) which is also getting better. 5. 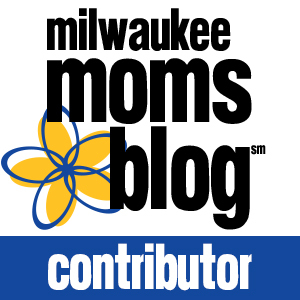 What advice do you have for new preemie parents? My advice to preemie mom’s would be get all the support you can and it does help to talk about it make a friend. I met this wonderful person in the NICU who was our neighbor and it made me feel better to talk to someone who understood what I was going through and to know that I wasn’t alone. Just keep your head up and stay strong you can do it! One day your NICU stay will be just a memory. Thank you so much to Cassie for sharing her beautiful boy with us. He is truly a miracle and a fighter. Cassie also has some great advice about finding someone to talk to. If you or someone you know is going through a premature birth, I’m always here to listen and answer questions. Please leave any comments and support for Cassie and Malik below. Malik is absolutely a doll!! Thoughts and prayers to you Cassie! Wow! What a story. You both are so strong, Cassie. Thank you for sharing. Wow, that is quite a journey into this world! What a fighter. Thanks for sharing Malik’s story. Oh my gosh, that had to be HORRIBLY scary. I am so glad that little Malik is still here with us! He is a little cutie patootie! The uncertain things must drive the parents of Preemie crazy. I believe this must be the hardest thing. The rate of the survival of the preemie is directly proportion to the love and touch of their parents. High five to all the parents of Preemie!